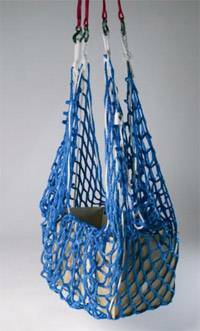 Rope Cargo Nets are used to load and unload cargo using a lifting method that draws the corners of a net around its load to a gathered point located above the load providing secure and balanced lifting. 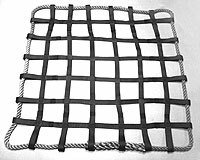 RN-6000-11 (3 ton) and RN-4000-20 (2 ton) are made from high tenacity polypropylene (HTPP) knotless netting with square mesh. Knots are eliminated using a balanced knitted construction with filaments running continuously throughout the netting to enhance strength and durability, eliminating the stresses of stitched construction found in conventional web nets. 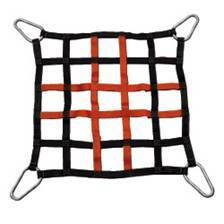 Fall Prevention Nets are made from a 3-1/2 inch nylon rope mesh, proven to withstand an impact of 17,500 ft./lbs. (350 pounds dropped 50 feet).